Hanover Youth Hockey Association, Inc.
Join HYHA for the end of the year hockey banquet April 26 at the U. The board is hard at work for a great night of honoring our players and coaches. Please take a minute to RSVP with number of kids and adults attending. The event is free, but we kindly ask for your response for a food estimate. As a reminder, the children will be monitored by staff on the courts for games and pizza (6-7:30). We have decided to not restrict the banquet to just players and one parent as we have done in the past as we truly feel the whole family makes sacrifices for our hockey players! Parents are asked to use there own discretion when leaving younger children on the courts as there is no formal check in/out process. Awards will follow on the courts from 7:30-8pm. Parents will have pizza and cash bar upstairs in the “pool room” which is off the main bar. We look forward to a fun night celebrating the hockey season. RSVP for the Banquet by clicking here. 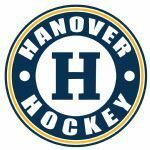 Registration for the 2019-2020 Season of Hanover Hockey is now OPEN!